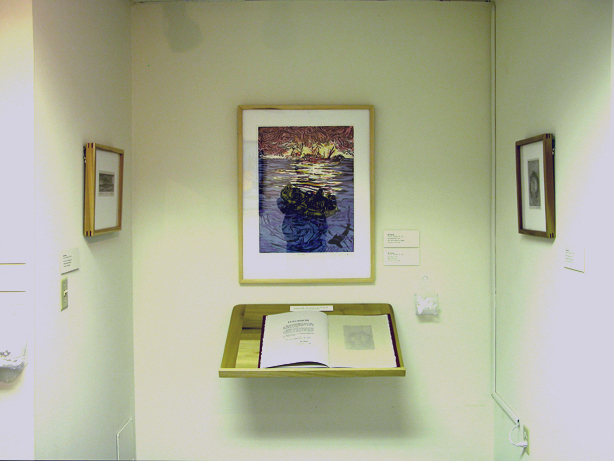 A short story by author-artist Ke Francis with five relief prints (one multi-color) printed on Canson Gray archival paper with cloth-over-board binding. 12 letterpress pages with color woodcut end sheets. SOUL SHARK WOODCUT PRINT (available separately or as a paired-purchase with the book at a discounted price. 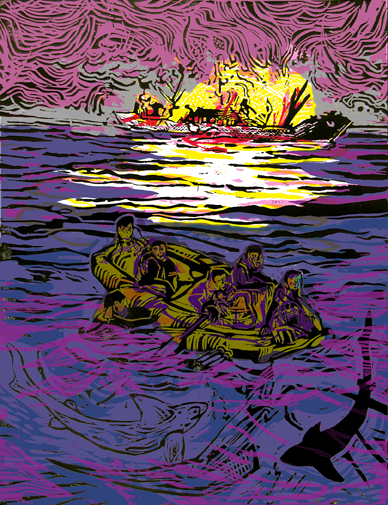 An 8-color woodcut published by Marais Press at University of Louisiana, Lafayette, in 2010 as part of a visiting artist residency by Ke Francis. 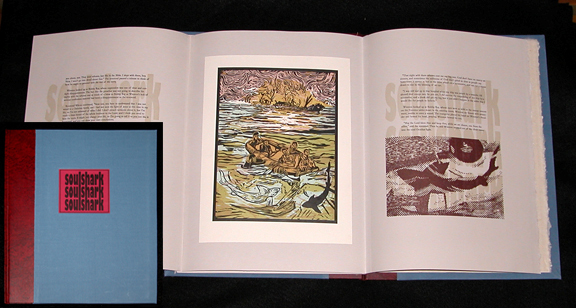 Framed 18 x 24 inch SOUL SHARK woodcut displayed with SOUL SHARK book on custom built reading stand. Woodcut on laid paper, 18 x 24 in. image on 22 x30 in. paper.